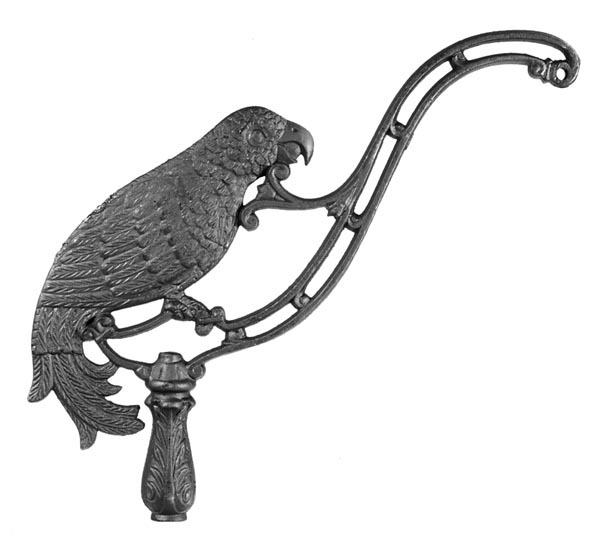 Victorian Style Bridge Lamp Arm, cast iron with satin black finish, "Parrot" design, tapped 1/4F X 1/8F. Arm accepts swivel nozzle or a swivel bracket cap (see our No. 40314). 13" long X 10 3/4" height. No reviews yet for the 13" "Parrot" Design Bridge Lamp Arm.